Searching for a Certified Home Appraisal in Katy, TX? As one of the premier providers of residential and commercial appraisal services in the Katy area, our Texas certified appraisers can help you with values for both private and banking use. Our philosophy is to deliver a quick, reliable and effective valuation report that meets our clients’ needs exactly. Not only do we complete our appraisal assignments faster than typical appraisal companies, we maintain some of the most attractive costs for appraisal services in the market. Our staff of appraisers are all local to the Houston area and are experienced in appraising for various property types, for all purposes including residential, commercial and mixed-use properties. 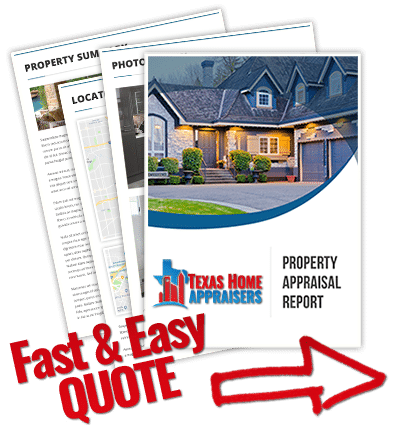 If you have a commercial property that needs valuing our roster of Texas Certified General appraisers can provide you a quote based on the project details. We take pride in providing real estate appraisal services for any need including lending, private use, insurance and legal issues. Be it homeowners or industry pros, our dedication to you remains the same – to offer a reliable and friendly appraisal service. If you have questions, or cannot find the precise service you need, you can use our online contact form or phone us directly at the number displayed on this website. If you are looking for a residential home appraisers in Houston TX to provide a fast and friendly appraisal for your home, call us diretly today or use the short web quote form. Real estate makes up the largest asset class in the world, making the proper valuation of it essential to the global economy. The appraiser formulates a reasonable values based on many factors including location, condition of the home, recents neighborhood sales, and more. The appraiser plays a pivotal role in assuring the homeowner feels more secure in their purchase of a new home. And because the appraiser is trained to be an impartial third party in the lending process, this profession serves as a vital “check in the system,” protecting real estate buyers from overpaying for property as well as lenders from over lending to buyers. Most often, appraisers will gather as much information as possible on on size, quality, and condition of the exterior before entering the home. The appraiser will generally consider only permanent fixtures and real property. Appraisers utilize many different forms of data to help them through the valuation process. The appraiser estimates the square footage (GLA – gross living area), by measuring the exterior of the home. Non-living areas, such as garages or covered porches, aren’t included in GLA, but are accounted for and considered in value separately.